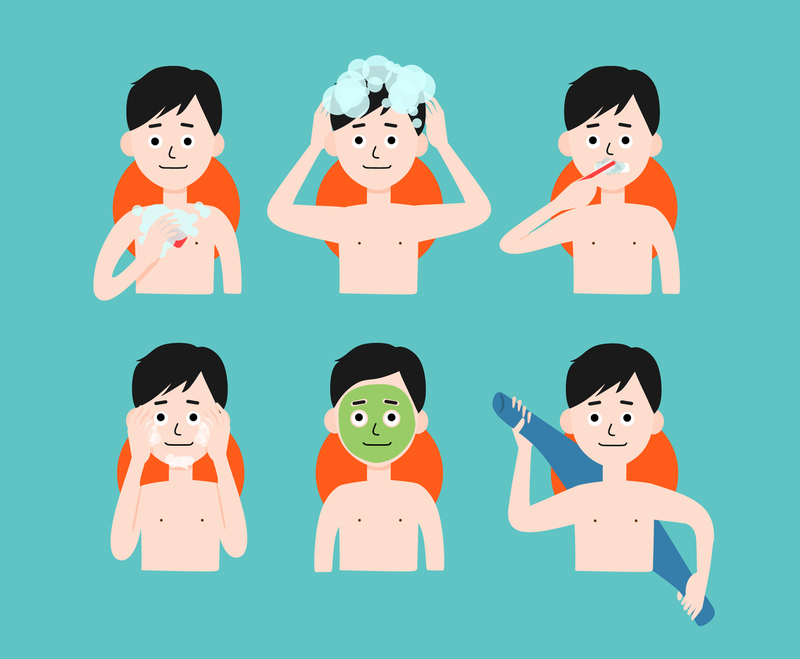 Illustration of self care vectors with various activities in it done by a male cartoon character. Starting from body shower, washing hair, brushing teeth, washing face, face masker and towel wipe. The illustration set can be used as part of children book or illustration with self care theme.